Bridgeport has honored the memory of circus showman, mayor and philanthropist P.T. 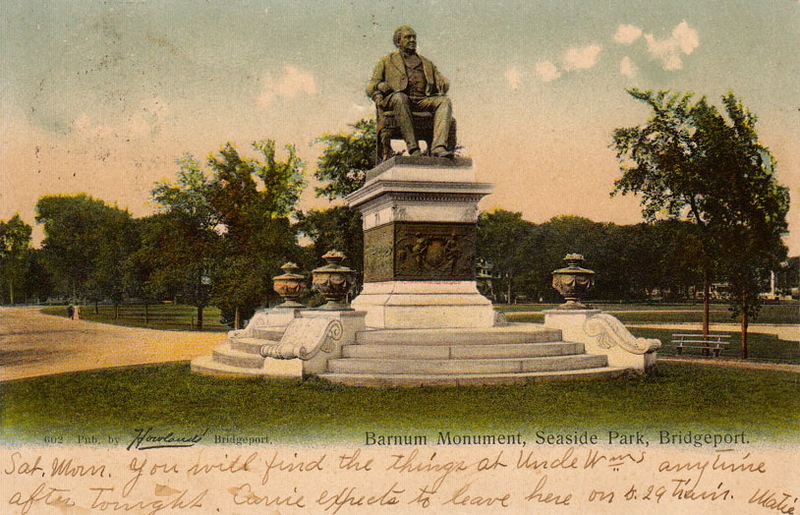 Barnum with a statue at the intersection of Iranistan Avenue and Soundview Drive in Seaside Park. The P.T. 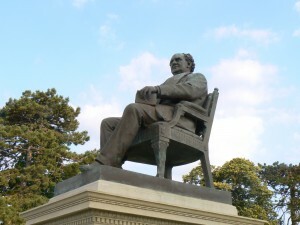 Barnum statue, which faces south, depicts a seated Barnum with a book in his left hand. 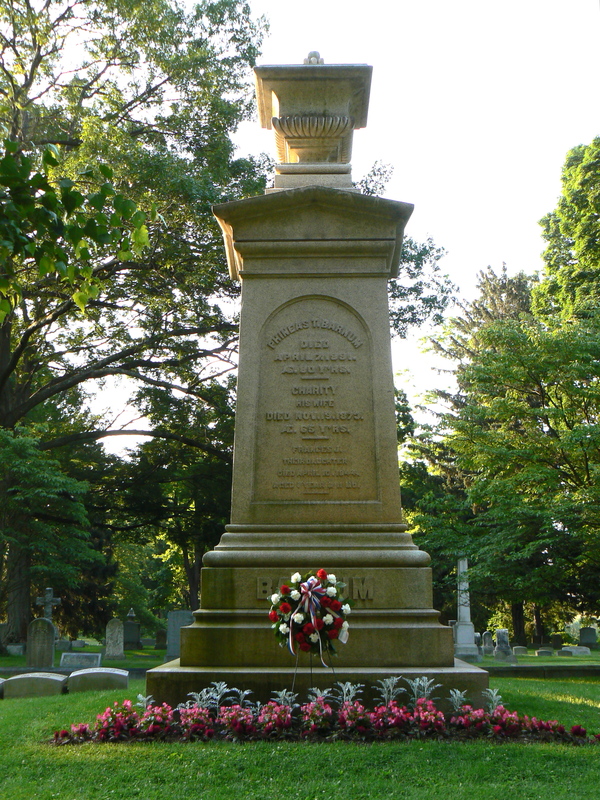 An inscription at the bottom of the base lists his name, and the front of the monument bears the years of his birth and death, as well as a Latin dedication we were unable to translate. We entered the phrasing into several online translation sites, and learned that it refers to Barnum’s kindness, but couldn’t get more specific than that. Born in Bethel, Barnum operated museums in New York City before launching his circus career. 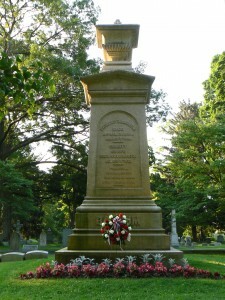 He also served as mayor of Bridgeport, and established the circus’ winter headquarters in the city. 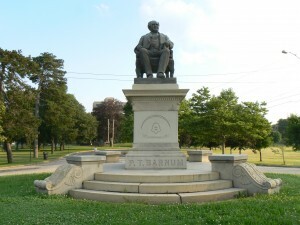 Barnum was also instrumental in the founding of Bridgeport Hospital and the local water utility, and when Connecticut’s Beardsley Zoo was established in 1920s, retired circus animals formed part of the collection. 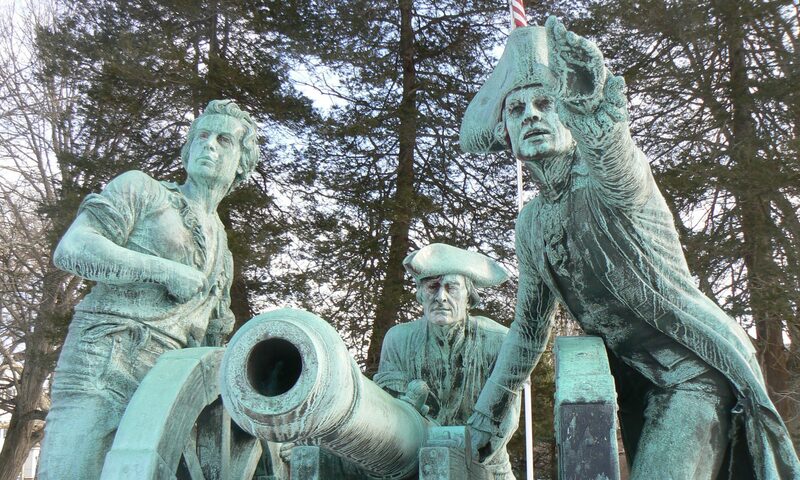 The statue was created by Thomas Ball, who was also responsible for a variety of public monuments including three George Washington statues. 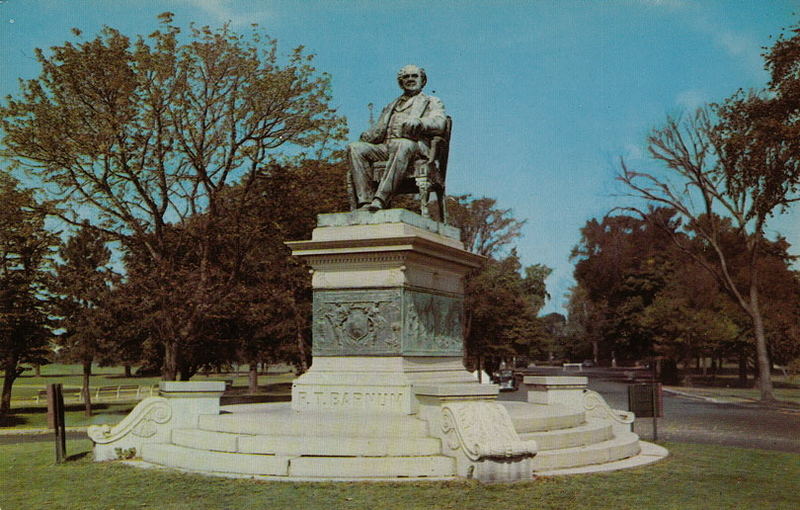 The Barnum statue was cast in 1887, and stored by the circus until Barnum’s death. Bridgeport’s Barnum Museum has an extensive collection of Barnum, circus and local historical artifacts. 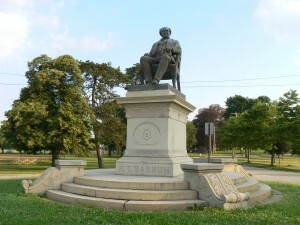 Seaside Park is a fitting location for a Barnum statue, since the showman built a series of mansions on land that he would eventually donate to the city to expand the park. Several streets in and around the park were named after Barnum mansions. 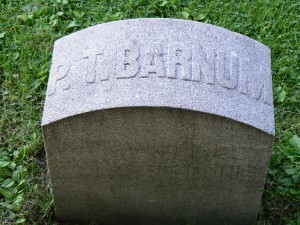 Barnum is buried in Bridgeport’s Mountain Grove Cemetery. Update (Aug. 6) — As you can see from the vintage postcards below, the monument was originally a bit more elaborate than it is today. The older card (with the handwritten message across the bottom) carries a 1907 postcard and shows the monument’s base was originally covered with four large bronze plaques decorated with allegorical figures. The plaza surrounding the monuments also featured four large urns. 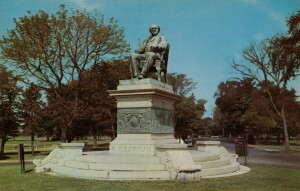 In the more recent postcard, which we estimate dates to the 1960s, the urns have been removed but the bronze plaques remain attached to the base of the monument. 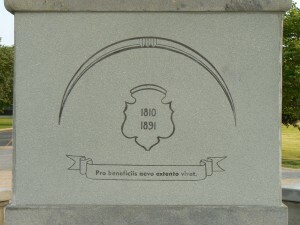 We’re assuming the plaques were stolen at some point, and the modern inscription was added to the base. Source: Bridgeport, A Pictorial History, David W. Palmquist, The Donning Company, 1981.